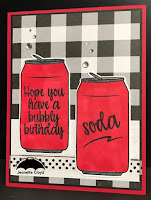 Cre8tive Play: Happy Birthday Sabrina! 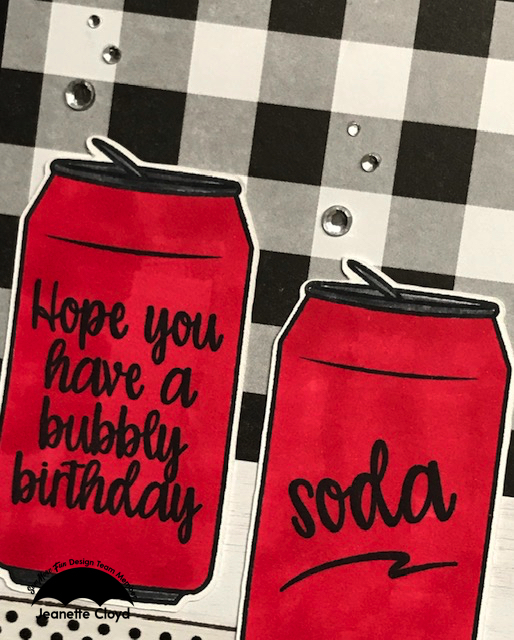 Today is a VERY special day - it's Sabrina's birthday! 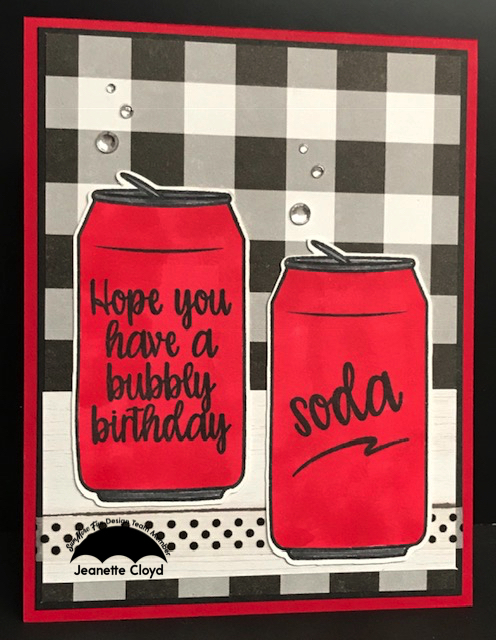 In case you don't know who Sabrina is - she's the owner of the SumMore Fun (Victorine Originals and Raisin Boat) stamp company. And she is one of the sweetest and most gracious women you could know! 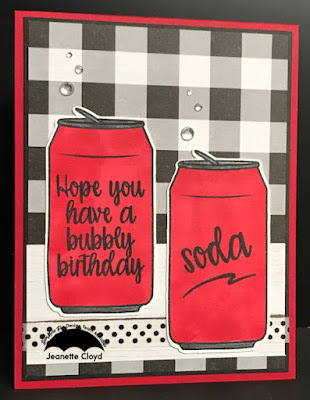 In Sabrina's honor I've made this birthday card featuring the Raisin Boat Soda Lighted stamp set. 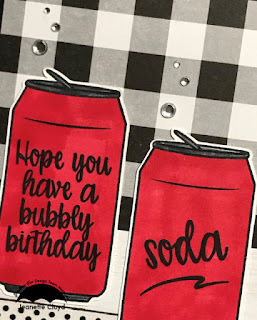 Love your red birthday sodas on the black and white gingham!! Fun card, Jeanette!